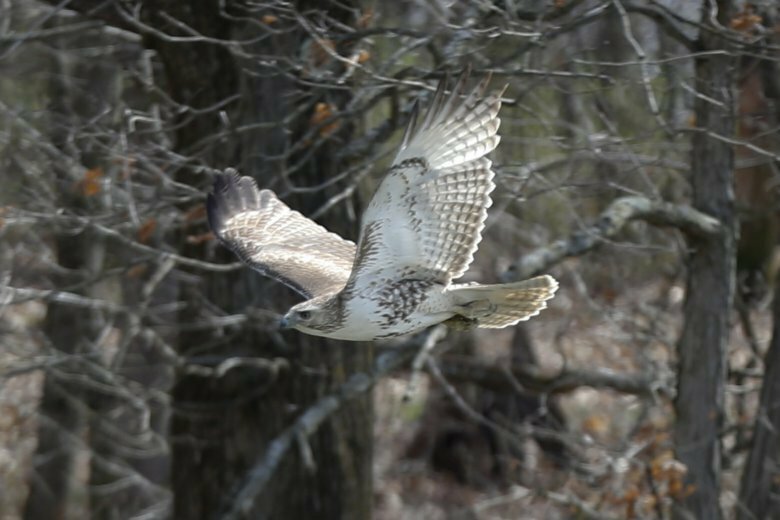 CONCORD, N.H. (AP) — It was a good day for red-tailed hawks and a bad day for coyotes Wednesday as the New Hampshire House voted in favor of honoring one predator but against protecting another. Students wore T-shirts that played off the state’s motto of “Live Free or Die” that read: “Our Second Try to Live Free & Fly.” They argued red-tailed hawks were deserving of the honor because they’re determined, adaptable and share parenting responsibilities. Daniel Blankenship, one of the students, who spotted a red-tailed hawk on his way to the Statehouse on Wednesday, said the defeat four years ago was instructive. The vote to kill the coyote bill was much closer — 233 to 126. Rep. Wendy Thomas, D-Merrimack, described how coyotes killed her backyard chickens and ran at her daughter one summer. Still, she supported the bill because it would not have affected anyone’s ability to trap or kill coyotes to protect property or livestock. But opponents countered that the year-round hunting season protects deer fawns, moose calves and other animals that coyotes feed upon.